Hunter S. Thompson had an innate willingness to tangle with the strange and unordinary. The gonzo stories that made him famous blurred the lines between surrealism and reality, fact and fiction. He lived on the edge in the very throes of madness and was undoubtedly a pro at capturing life at its most weird and wild. Hiro Murai isn’t an acid-dropping, peace-disturbing gonzo journalist; he isn’t in the business of documenting his fears or his loathing, but what he shares in common with Hunter is being able to bridge surrealism and reality within his artistic medium. As a filmmaker who specializes in music videos, he brings to life ideas and concepts that put him in the class of a pro who takes the weird and turns it into a defining trademark. The first time I watched the music video for Flying Lotus’ “Never Catch Me,” I was stunned by how well he juxtaposed the beauty and melancholy of death and the journey to the afterlife. What is sadder than a funeral burying two children? What could make you happier than watching two children dance with such grace and glee? He lifts your spirits and tugs at your heart simultaneously. In his behind-the-scenes interview with The FADER, Hiro confessed that the parents broke down crying when they first saw their children in the caskets; even on set, there was an emotional difficulty separating what was real and what wasn’t. That’s the beauty of manipulating reality; you can blur the lines just enough where it’s like you&apos;re watching a dream; you have to wake up to realize what’s real. Out of all the video directors rising through the ranks, Hiro is my favorite. His vision and approach take great songs and turn them into unforgettable visual experiences. Conceptually, he isn’t afraid to be different—but that’s to be expected for someone who cites David Lynch and Haruki Murakami as inspirations. From Earl’s “Chum” to Baauer’s “Day Ones” there hasn’t been a music visual he’s directed that hasn’t stunned or surprised me. I see Hiro as one of the leading directors that still make music videos into an art form. 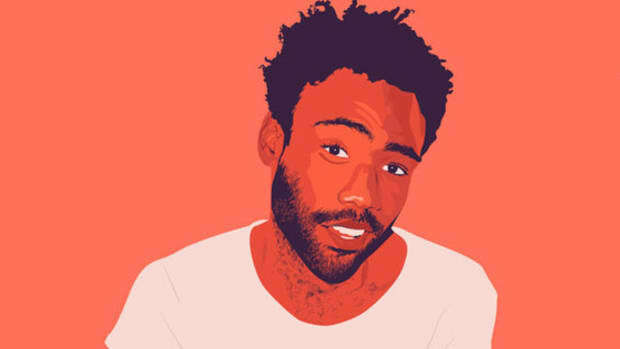 Out of everyone that he has worked with, Hiro sees Childish Gambino as a kindred spirit. Hiro directed every video for Gambino’s Because The Internet—the album I consider to be his magnum opus. 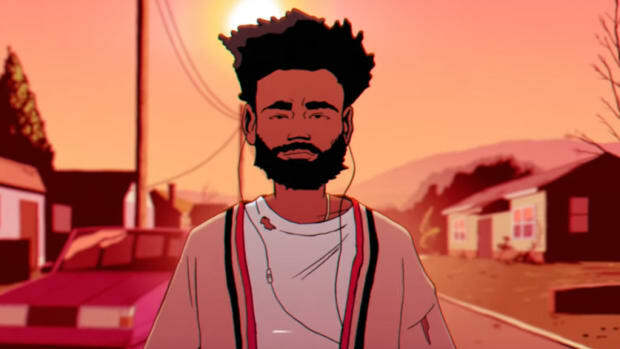 Bino found the perfect director to give his best music the best possible visuals. Each song that was given a video treatment had a touch of supernatural surrealism that made each a memorable spectacle. 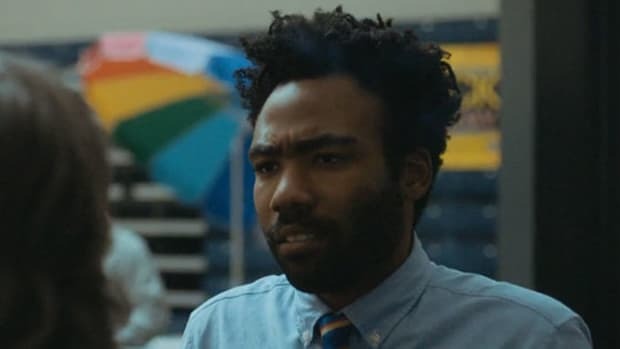 No one quite understood the fire that burned behind the Ferris wheel in “3005,” the reality-defying dance moves that are done in “Sober” or why Donald spontaneously became an alien at the end of “Telegraph Ave,” but all the strange phenomenon are just additions to a world that appears mundane and commonplace. 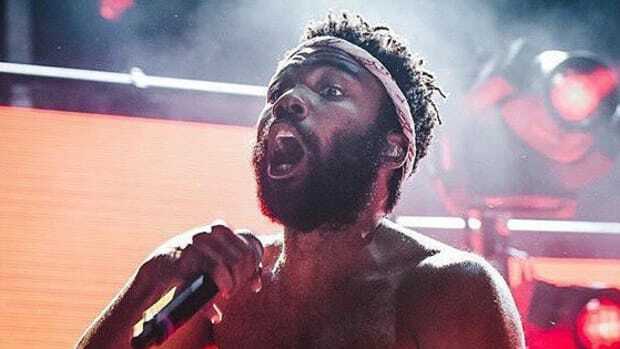 Gambino and Hiro almost make you believe everything is regular, based in reality, just to deliver a taste of something completely unorthodox. Think about the tooth scene in Donald’s Clapping For The Wrong Reasons; he goes from rapping in the theater room with Flying Lotus to digging out a gold molar from his bleeding nose. Watching it again, it’s equally fascinating and disgusting. The scene is never explained or elaborated upon, a paranormal moment wedged between normalcy. "I usually prefer to do it myself. I’m not a control freak, but I like to be attached to the idea—at least emotionally. 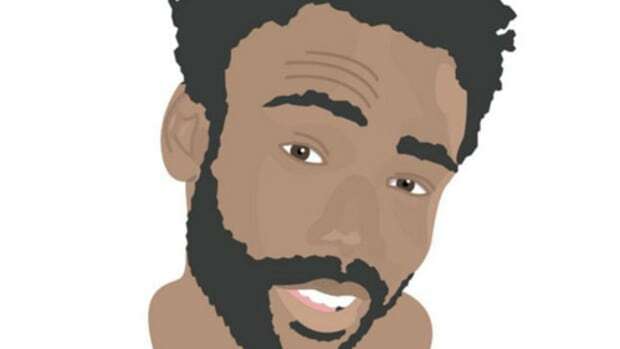 I don’t really accept ideas from artists, but with Donald it’s been really, really great. He’s a writer, and he’s a very creative guy. He’s also a great collaborator, so there’s something very intuitive and natural about working with him." 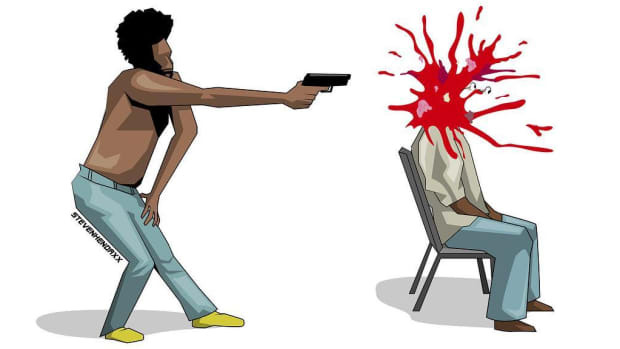 —"BEHIND THE LENS: INSIDE THE WEIRDLY WIRED BRAIN OF DIRECTOR HIRO MURAI"
When it was announced that Murai would be the lead director for Donald Glover’s upcoming series Atlanta, I didn’t think much of it. It wasn’t until seeing the teaser trailer did I realize what it meant that Hiro and Donald would be working on the project together. In the teaser titled “The Walk,” everything appears normal except Donald and company are moving in reverse. 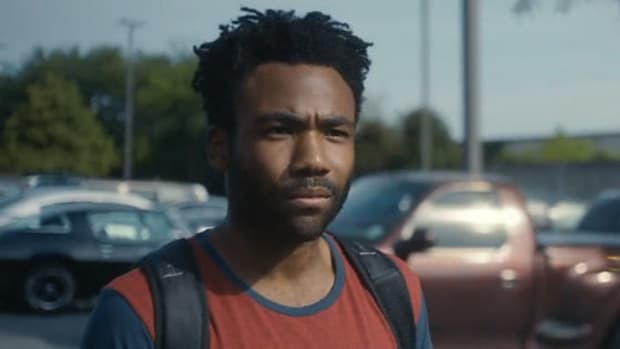 The entire clip is played as if it’s being rewound—cars and trucks driving in reverse, the dap being given while the two men moonwalk backward, and the body language of Donald and his co-stars is completely off kilter. There are two other promo trailers, “Porch” and Flyers.” The clips take me back to Nas’ verse in “Rewind” but the inspiration comes from another song that plays in reverse—The Pharcyde’s “Drop.” For anyone who has seen the iconic, Spike Jonze-directed video, the concept and execution feel way ahead of its time. In his interview with The 405, Hiro called “Drop” one of his favorite music videos of all-time. He took the idea, flipped it, and incorporated the style within the series promotional teasers. Music video directors tend to transition into other film work. Spike Jonze is one of the most acclaimed to be celebrated in both realms. Hype Williams is another that comes to mind, even if Belly is the feature film equivalent of a very long music video. With Hiro, he is going to the small screen instead of the big screen. 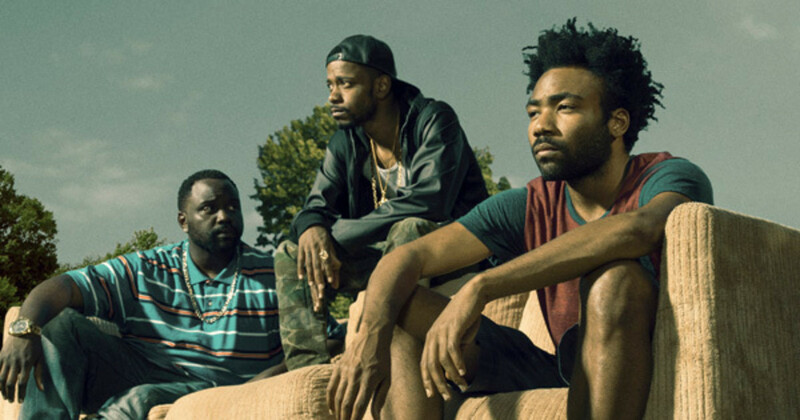 In his latest interview speaking on Atlanta, Donald Glover told Rembert of Vulture that Hiro was selected as the primary director over Sean Baker and Ben Dickinson—two directors with more experience when it comes to syndicated series that are narrative based. Hiro has never done television before, a novice in that world, but Donald still chose him. This is a huge show for Donald, his first television series, and he has a director that has never done it before. That’s exciting. The last time Hiro took a job in an arena he had no prior experience, it was shooting and arrangement for Frank Ocean’s GRAMMY performance. Visually, it was unlike any performance I’ve ever seen. I can still envision him having his Forrest Gump moment in that bright yellow tuxedo. Picking Hiro was a daring selection, but how will the filmmaker leave his mark on the series? How far will they push the weird? How strange can you make the story of a one-hit-wonder and his manager cousin based in Atlanta, Georgia? The Pharcyde inspiration isn’t a coincidence. The same way that I trust Donald to deliver an excellent series, I trust Hiro to turn up the weird. I believe these two will bring their chemistry to the small screen, delivering a show that is unlike anything we’ve seen before. 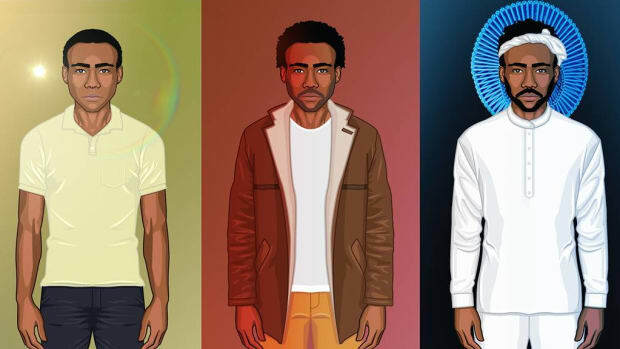 Even if we haven’t received any new Childish Gambino music from Donald Glover, anyone that adores his music videos should be amped that the same creative minds are still together working on their biggest project yet. By Yoh, aka Yoharcyde, aka @Yoh31.